Courtesy of RE/MAX Action Real Estate. This beautiful estate sits on a cul de sac lot in Scots Landing. Walking in the front door you’ll be greeted by a gorgeous foyer with hardwood floors and a formal living room to your immediate right. The formal dining room with picture molding, chair rails, and a chandelier sits to the left. The eat-in kitchen boasts granite counters, an island, and wine rack. Enjoy your winters in the family room cuddled up by the gas fireplace. Down the hall is the first floor master with dual vanities, tiled shower, commode room, and jetted tub. Upstairs you’ll find four more bedrooms, two with a Jack and Jill bathroom. There’s also a rec room with a wet bar that has granite counters, an ice-maker and a wine cooler. Outside, soak up the heat this summer in the in-ground pool with tanning ledge situated in a fenced backyard. This property also backs up to preserved Civil War grounds that do not allow any additional developments. If working from home, you can enjoy high speed internet and reliable cell service. Other noteworthy features include a three car garage, central vac system, unfinished walk-up attic, new carpet, and irrigation on three sides. 1 year home warranty included with the home. Please, send me more information on this property: MLS# 1905682 – $674,950 – 10257 Twig Lane, Mechanicsville, VA 23116. 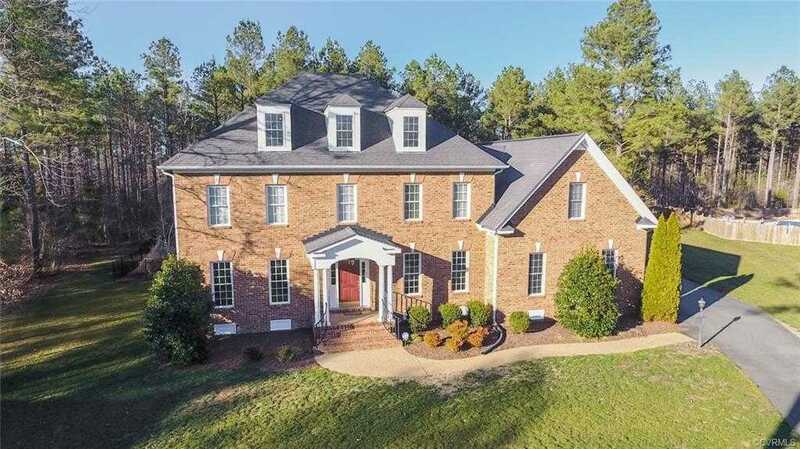 I would like to schedule a showing appointment for this property: MLS# 1905682 – $674,950 – 10257 Twig Lane, Mechanicsville, VA 23116.